Our Condo Has Been Sold and is no longer available. What makes Osprey PH01 unique? 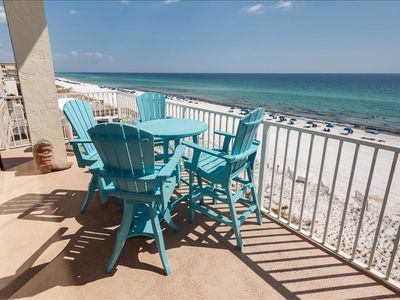 +HUGE CONDO: 2419 Square Ft - Largest stack at Destin West plus a large roof garden with 360 degree views of both the Gulf and Bay Waters. 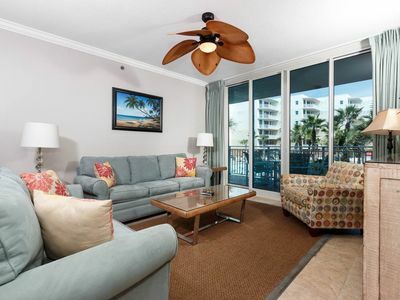 +FURNISHINGS: Not your typically furnished beach condo - read our reviews! 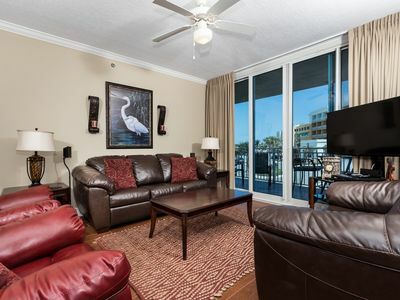 The spaciousness and location of this condo make it the Best at Destin West. 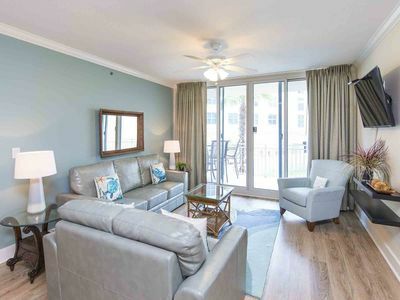 There are only 4 large corner penthouses at Destin West. 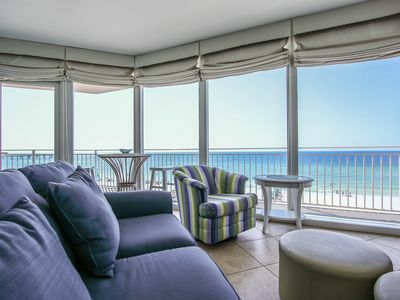 This one has the most SPECTACULAR VIEWS of them all - Gulf views from all bedrooms and balconies! READ OUR REVIEWS! WATCH OUR QUICK TOUR VIDEO. 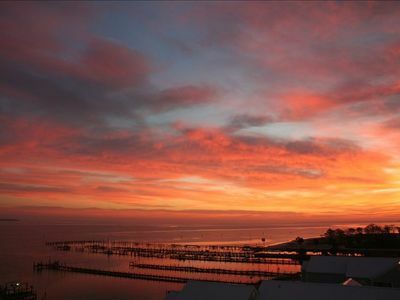 The views from this beautiful 3 bedroom, 3 bath Penthouse at Destin West will take your breath away. This large, 2419 sq. ft. home-away-from-home is the ideal vacation spot for the persons wanting only the best for their vacation stay. The furnishings were selected to bring all the comforts of a fine residence to your vacation home. FREE BEACH SERVICE INCLUDED. 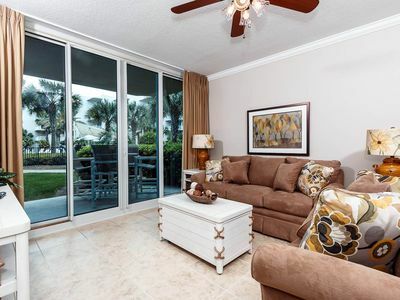 Located directly on the peaceful waters of the Choctawhatchee Bay, the views from all rooms include the emerald waters of the Gulf, and most views include both the Bay and the Gulf. 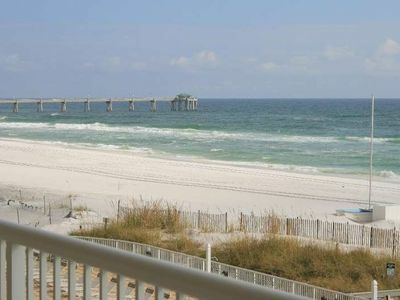 The Gulfside of Destin West can be accessed by a walk-over bridge only minutes away. You can choose to spend your day floating on the Lazy River, or playing on the sugary white sands and riding the fun and relaxing waves of the Gulf, or sunning on the large private roof garden, or soaking in the private hot tub. As the day draws to an end, the roof garden is the perfect place to watch the sunset and then the stars come out. 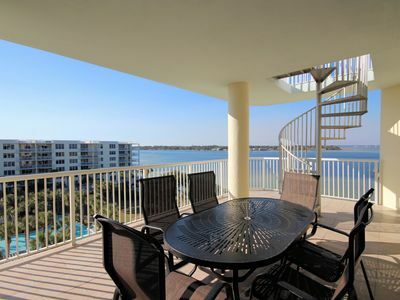 From the condo's large deck, you can enjoy watching dolphins play or sailboats pass by. 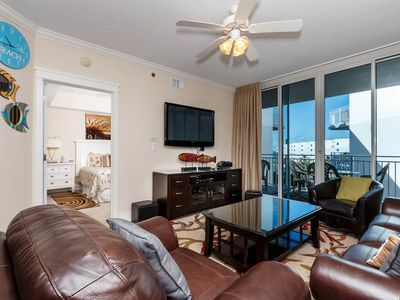 The condo features 3 large bedrooms, each with its own private bathroom. Two of the large bedrooms have king sized beds. The third bedroom has a queen bed and bunk beds. There is ample room in the spacious bedrooms to comfortably place additional bedding. If requested, 2 additional child's cots can be furnished that children will love. The linens for the cots will need to be brought by guest. The living room couch is a queen sleeper sofa. 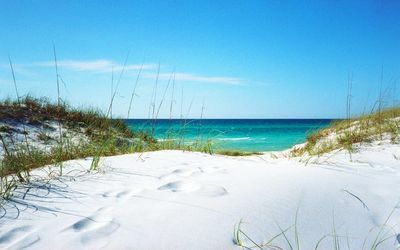 Come and experience your best vacation - at Destin West Beach and Bay Resort's Osprey Penthouse 01. Waterscape A530 - Booking spring vacays, now! 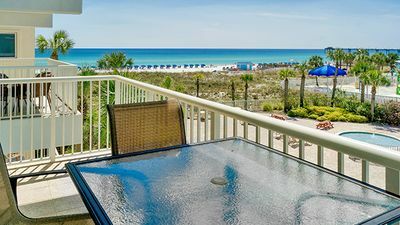 Sea Oats 706 - Don’t miss your spring vacation. Book now! Waterscape A226H - Booking spring vacays, now! UNIT 304! 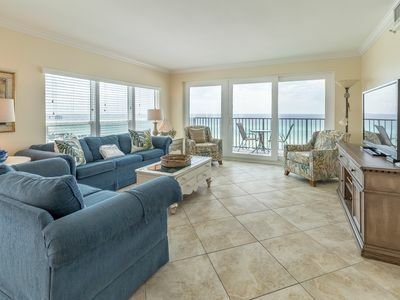 OPEN 4/29-5/6 NOW ONLY $1533 TOTAL!BEACHFRONT! Penthouse Luxury ~ Rooftop Terrace W/Private Hot Tub & Grill ~ Designer Remodel! 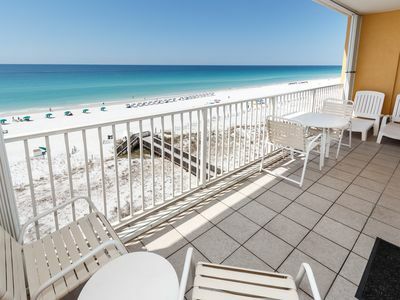 Gulf Front Condo~ Multiple Pools, Lazy River, Kiddie Pool & More! 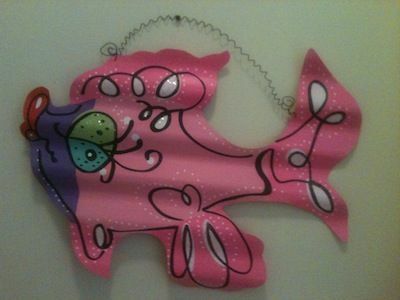 Fishing For A Fun Vacation? Paddleboard/Kayak Rental + Beach Service Included!